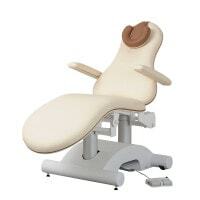 Praxisdienst offers a comprehensive assortment of examination couches, ECG tables, massage tables, gynaecology chairs and many other high-quality exam tables. Discover our wide selection of chairs. We offer waiting room chairs, practice stools, office chairs and many other seating options for all common work areas. Our filing and storage furniture creates valuable storage space in your practice and surgery rooms: For indexing records, medicines and medical consumables. Light up your practice! 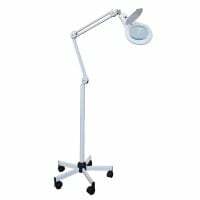 In the lighting and viewing category, you will find examination and surgical lights as well as X-ray film viewers and other lighting systems. Whether you need paper towel dispensers, rubbish bins, positioning aids or partitions, Praxisdienst offers a wide array of furnishings for your surgery's rooms. The Rollboard Vision makes it possible to transfer patients from a bed to a stretcher, onto X-ray or operating tables, shower trolleys or simply, to another bed. 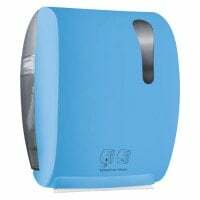 Its ease of use and numerous areas of application make the Rollboard Vision ideal for use in hospitals, care facilities, and rehabilitation facilities. Find Your Individual Medical Furniture, Here! Proper surgery facilitation includes multiple aspects that should be considered before planning your practice or renovating your surgery. For one, the surgery should be furnished in such a way as to allow for easy and barrier-free movement for everyday activities e.g. ECG exams, blood drawing or dressing changes. Second, current hygiene standards must also be met. The furnishings should be easy to clean and, best case scenario, disinfect. Therefore, medical furniture and other large portions of the facility are usually made with non-sensitive, disinfectable materials, such as synthetic leather, stainless steel or special plastics. 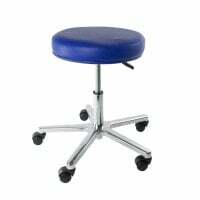 In our online shope, you will find a wide range of high-quality medical furniture for various disciplines, at fantastic prices. For example, we offer you exam chairs, ECG tables, standard exam couches, waiting room furniture, medication and file cabinets, and a multitude of multipurpose and device trolleys for all types of surgeries. In order to further facilitate your search for the proper medical furniture, we have broken down the medical furniture category into varying subcategories. Here, you will find examination couches and tables, beds and gynaecological exam chairs for your medical facility. All furniture that serves patient exams and treatments can be found in the couches and tables category. This category also includes stretchers for emergency services, as well as beds for home healthcare. Here, we offer you a large assortment of seating options as part of the included medical furniture in your surgery. The waiting area chairs are available in many brilliant designs and colours, ensuring that they match even the most unique waiting rooms. Our huge selection of office chairs includes special chairs for back relief, such as the Duo-Back chairs from Rohde & Grahl. In the seating category, we also offer you recliners and therapeutic chairs for comfortably seating your patients at dialysis stations or in elder care facilities, for example. Round out your medical facility with file cabinets, medication cabinets and medical device trolleys for clear and secure storage of your medications and files. In this category, you will also find wardrobes for changing areas and dispenser systems for medical consumables, based on the first in first out system. 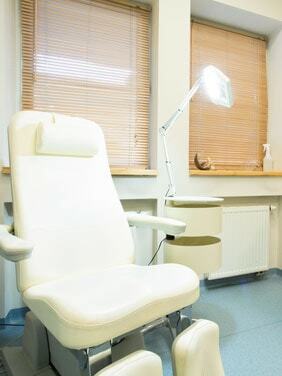 Are you looking to renovate your surgery and need the proper furniture? In this category, we present a great selection of high-quality and affordable medical furniture. 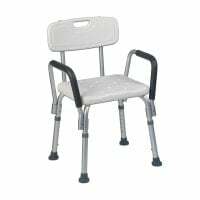 Regardless whether you need waiting room chairs, exam tables, file cabinets or instrument tables - our online shop offers the proper medical furniture to meet every need. The furniture from name brand manufacturers, such as Rohde & Grahl, AGA and Haelvoet, are set apart by excellent craftsmanship and an attractive price-performance ratio. Do you have questions about a product, shipping conditions or delivery time? Our customer service will happily advise! Contact us simply and quickly through live chat, telephone or E-mail.